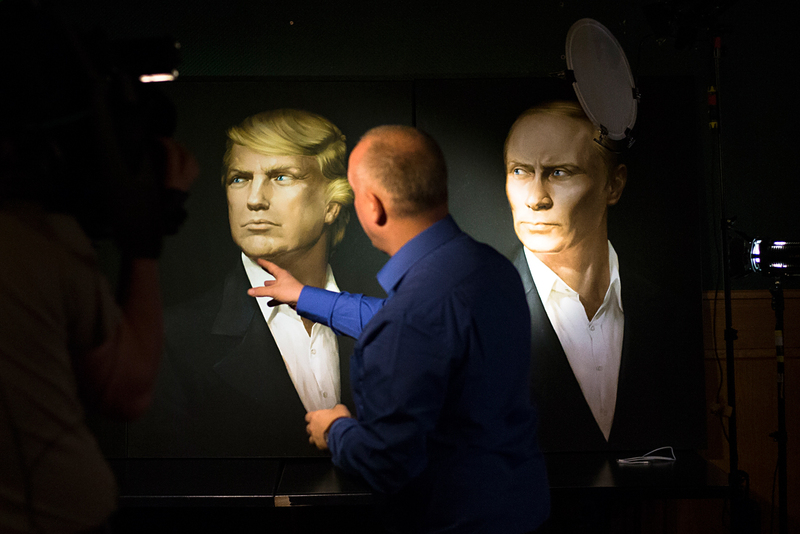 A portrait of U.S. President-elect Donald Trump, with a portrait of Russian President Vladimir Putin during a live telecast of the U.S. presidential election in the Union Jack pub in Moscow, Russia, Nov. 9, 2016. Moscow expects that Russian President Vladimir Putin and U.S. President-elect Donald Trump will get along, Kremlin spokesman Dmitry Peskov said. "Indeed, Moscow hopes that our presidents will get along," Peskov told reporters on Jan. 12 commenting on Trump’s latest statements. Peskov also recalled Trump’s words on readiness for a dialogue with Moscow. "This does not mean that this is readiness to agree on everything with each other, this is hardly possible," he said. "Moscow does not expect this. But holding a dialogue - we should hope for this, and for what will help us to search for a way out of many difficult situations," he said. Read more: Was Trump lured into a Russian ‘honey trap’'?